The 5th annual NJCTS Tim Howard Leadership Academy took place at Rutgers University from August 2-5. The intensive four-day training promoted self-advocacy, self-leadership, resilience and grit—all important skills to succeed while living with Tourette Syndrome. Tourette Syndrome (TS) is a neurological disorder characterized by uncontrollable movements and vocalizations known as tics. As many as 1 in 100 people show signs of a tic disorder like TS, which is frequently accompanied by mental health disorders including ADHD, OCD, and anxiety. 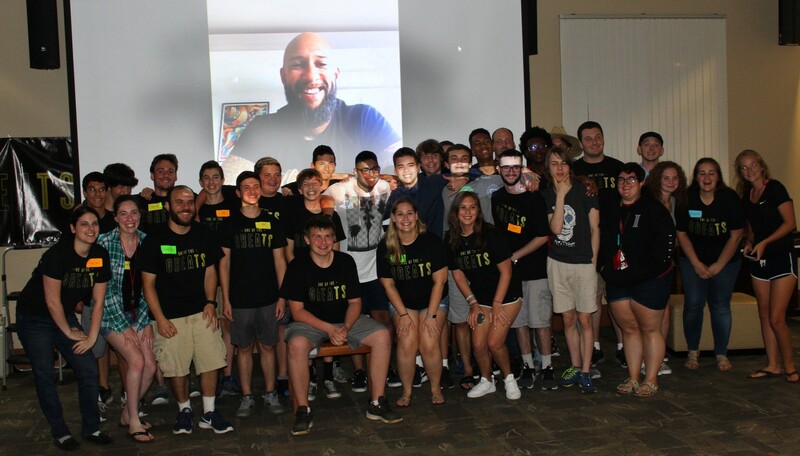 Created in 2014 in partnership with legendary goalkeeper and TS advocate Tim Howard, currently of the Colorado Rapids, the Academy is the only leadership program for teens diagnosed with TS in the nation. The 24 teens who participated represented New Jersey, New York, Pennsylvania, Florida, Texas, Minnesota, California, Canada and Australia. Howard, a New Jersey native who was diagnosed with TS as a kid, surprised the teens by calling in to video chat with the group. During the 30 minute conversation, he fielded questions about everything from disclosing his TS publicly to his plans after retirement. He told them that in his mind, TS “chose me,” so he has always accepted the disorder as a part of who he is. Throughout the four days, participants had the opportunity to learn from neurologists, psychologists, social workers, and others about their diagnoses. In addition, sessions were conducted on asking for and receiving accommodations at college and in the workplace. During their downtime, the teens formed connections with new friends through small group activities or a friendly game of kickball. In smaller “Team Talk” sessions with Academy coaches – young adults with TS with personal experiences to share –powerful and emotional discussions continued and each night participants worked on their final advocacy projects which were shared on the final day. The NJCTS Tim Howard Leadership Academy takes place each August at Rutgers University’s Busch Campus. To learn more, visit www.njcts.org/teamup. The 2019 Academy application will be available later this Fall.